Our annual shareholder letter has considerable progress to report. The company continues to move forward on all three areas of focus: non-chemical water treatment, smart water solutions and trenchless technologies. Global Water Technologies has been working to integrate and commercialize solutions in these three areas. Its legacy business of non-chemical water treatment; use of smart water technologies that leverage sensors and software to improve efficiency; and trenchless technologies that provide cost-effective rehabilitation for water infrastructure. Several significant steps that we had planned to announce in the fourth quarter of 2017 have been delayed and work toward those efforts will continue into the new year. While it can be exceedingly frustrating to see the impact of such delays on the company’s revenues and share price, the foundation is now in place to rapidly change both important metrics. In a recent discussion with one of our industry’s top technology executives, he observed the water sector is challenging due to its propensity to routinely delay projects, often by months and years. That makes it difficult to implement and rapidly scale new innovations that can improve efficiency and customer service for water utilities. As a small tech company, we have experienced these challenges in several areas. For example, we were one of the first to locate in the 16 Tech innovation district of Indianapolis, which was targeted in late 2015 for $75 million of (mostly water) infrastructure development by the city. In early 2016, we hosted an international water infrastructure demonstration in the area that was well attended by local, state and national leaders. However, unexpected external events have delayed initial work on the project for the past two years. A deal closed for business in China with the demonstrated technology was also sidelined in 2017. Likewise, the pace of policy adoption that is key to water infrastructure funding has also been slow. 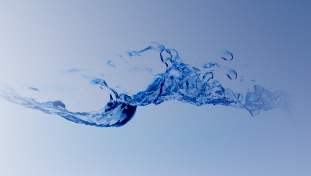 Our company was an initial member of the US EPA water cluster initiative in 2011. We were early supporters of the federal Water Infrastructure Financing and Innovation Act (WIFIA) that passed in 2013 with bipartisan support. And we testified before the Indiana Utility Regulatory Commission that year on the need for water innovation and presented our Smart Water for Indiana plan to the governor’s office, which was followed by two statewide studies on water supply and utility needs. In late 2016, we coordinated a smart cities proposal for Indianapolis that focused on smart water, energy and transportation. It was selected as a finalist from among more than 120 competing metropolitan areas and announced as one of five winners for 2017. That effort resulted in positioning our company at the intersection of smart water and smart cities, an effort we outlined over the past year at events in Boston, Washington DC, Chicago, Austin, San Diego and San Francisco. Strategic partnerships were established at these events, which included those hosted by Smart Cities Council, Smart Cities Connect, SWAN North America, Sensus/Xylem, Water 2.0 and US EPA. Now all those efforts are positioned to generate positive results in 2018. The new WIFIA program that is being administered by US EPA has selected Indiana as its first statewide recipient and that should lead to $436 million of federal financing for water infrastructure. We believe this will create a unique opportunity to showcase water innovation and best practices in dozens of communities across the state, just as the national discussion turns to infrastructure issues in the coming year. We also expect Indiana leadership on the topic of smart cities with potential federal legislation moving in 2018. To take advantage of these smart water opportunities, we have established a strong network of strategic partners and potential investors. As a small public company that is perfectly positioned and focused on this space, we believe there is an opportunity to secure the working capital that has been lacking and is needed to move the company beyond the bootstrapping operations of the past several years. While we believe that smart water infrastructure presents the greatest opportunity for 2018, the company has also continued its work in both trenchless technologies and non-chemical water treatment. Both of those areas have generated revenues for the company (primarily from Asia) in the past year and are expected to continue growth in 2018. The company has also refiled a provisional patent application for an invention using non-chemical water treatment. Last year we selected the Global Water Solutions Fund (HTO-UN.TO) as a benchmark for our progress and noted its 2016 share price increasing from $6.82 to $7.73 (+13.3%). In 2017, that fund’s closing price was $10.21 (+32.1%) and Global Water Technologies stock failed to keep pace. In 2016, 1,074,636 shares of GWTR stock traded at prices between $0.01 and $0.04 and the closing price was $0.03. In 2017, 713,375 shares traded at prices between $0.01 and $0.045 and the closing price was $0.01. While OTC stocks are often volatile and require caution in analysis (see our Investors page), the company intends to focus on securing both higher volumes and share prices in 2018. The number of common shares at December 31, 2017 is 21,882,146 and the number of free-trading shares remains at 5,895,503. The company has issued warrants for the purchase of 2 million shares at $0.015 and has reserved 1.75 million shares for convertible promissory notes totaling $81,500. Continued avoidance of both toxic financing and related stock promotion allows for the issuance of additional shares in a manner that creates value for new and existing shareholders. Given the considerable effort and investment to date, the unique water infrastructure opportunity taking shape and the low $0.01 closing price for 2017, we expect the coming year to present significant gains for GWTR shareholders. Thank you to all our shareholders, team members, vendors and customers who have supported Global Water Technologies over the past year. We look forward to an exciting and productive 2018!